Perfect for travellers on the move. 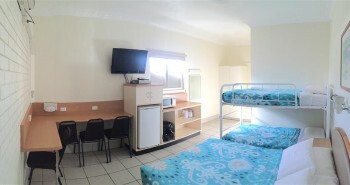 Comfortable accommodation at affordable rates. Experience the beautiful coastal outdoors. Find out what sets the Aquarius Motel apart. Call (02) 4945 9899 to get the best rates! 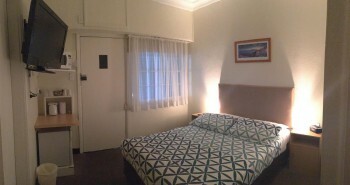 Includes a double bed with a bathroom. Spacious and comfortable for solo travellers or ideal as a budget room for couples on the move. Includes a queen bed, a bathroom, a large desktop, a personal outdoor table setting and parking at your door. Comfortably sleeps up to two people. Includes a double bed and a single bed, a bathroom, a large desktop, a personal outdoor table setting and parking at your door. Sleeps up to three people. Includes a double bed, a set of bunk beds and a bathroom. Extra single bed is available at an extra cost. Sleeps four to five people. We regularly offer group booking specials and accommodation + breakfast packages! Please enquire about the latest package deals and discounts available when you make your booking. 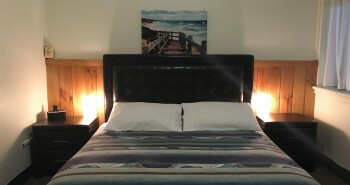 The Aquarius Motel is situated in Belmont South between Lake Macquarie, the largest coastal seawater lake in Australia, and beautiful ocean beaches. We are conveniently located only minutes from local restaurants, Belmont Golf Club, fishing spots, 4WD tracks, Nine Mile Beach and just 45 minutes from the Hunter Valley wineries. 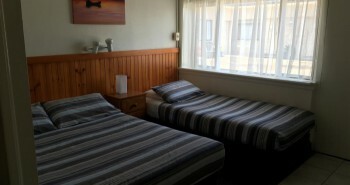 Our budget accommodation is perfect for solo travellers, couples, families and large groups.